Residential and commercial moving is possible in the Carolinas with Charlotte Van & Storage. We are located on the southern edge of North Carolina, only minutes away from the South Carolina border. Many Carolina movers only service one state or the other, but we are the full-service Carolina moving company to meet all of your needs. Our professional moving company is familiar with the Appalachians to the north, south and west and Atlantic coast to the east. Among the numerous Carolina moving companies, Charlotte Van & Storage stands out in their services. Asheboro: Honesty, integrity, and expert service are the trademarks of Charlotte Van & Storage, and we’re proud to have built a legacy as one of the most trusted names for Asheboro movers. Belmont: Our Belmont movers offer a vast array of moving and storage services to meet all of your needs. Charlotte: In North Carolina's bustling city of Charlotte, we provide commercial moving services to the numerous businesses that dot the downtown's skyline. Concord: A residential move to anywhere in the world is possible with our Concord movers. Fort Mill: Allow our Fort Mill movers to help you make your transition in Fort Mill a little easier. Gastonia: Is a corporate relocation moving you away from Gastonia? Our corporate relocation specialists are here to assist you through customs and into your new home in a different country. Hickory: Since 1955, Charlotte Van & Storage has been the first choice in a Hickory moving company, and we can help you successfully coordinate any size relocation! High Point: Are you looking for an expert High Point mover that can customize your household or commercial relocation to your needs? Huntersville: Warehousing and distribution will get your company organized and connected to your customers. Kannapolis: Just 20 minutes outside of Charlotte, we can transport all of your art gallery finds in the city to your home in Kannapolis. Kings Mountain: If you're looking for reliable Kings Mountain moving services, your search ends here with Charlotte Van & Storage! Lancaster: At Charlotte Van, our Lancaster movers are proud to be the mover of choice for the many residents and businesses or the city. Lexington: Are you planning a household or commercial move in Lexington, but you’re not sure where to start? Lincolnton: Our Lincolnton movers provide a wide variety of relocation and storage services to better serve all of our valued customers. 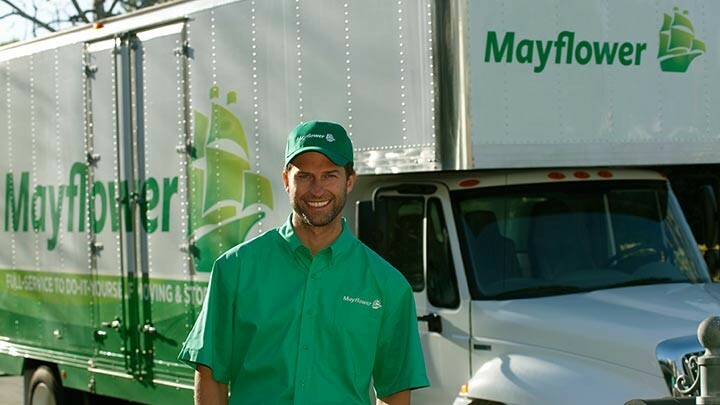 Matthews: Whether you have sensitive computers and electronics to move or high-value artwork, Charlotte Van is the Matthews NC mover that will get all your valuables to your new location in top condition. Mint Hill: Since 1955, the moving professionals at Charlotte Van & Storage have upheld our long-standing commitment to high-quality, customer-oriented service. Monroe: A city known for its diverse businesses, the Monroe trade show movers are always on hand to transport your entire booth anywhere in the country and beyond. Mooresville: Getting the most out of your moving budget comes from working with a trusted team of Mooresville movers, and you won’t find a more reputable company anywhere in the region than Charlotte Van & Storage! Pineville: For over 50 years, our Pineville movers at Charlotte Van & Storage have been working diligently to provide nothing short of the highest quality relocation and storage services. Rock Hill: If you need temporary storage while you wait for your home to be built, Charlotte Van & Storage can house your boxes and furniture for any duration of time. Salisbury: Unlike many other Salisbury moving companies, we can proudly say that we're a BBB-accredited business with an A+ rating and a member of the North Carolina Movers Association. Shelby: Shelby movers at Charlotte Van & Storage have been moving residents and businesses to and from Shelby since 1955. Spartanburg: For business relocations and household moves in Spartanburg, there’s only one choice for the best in professional moving service—Charlotte Van & Storage! Statesville: Since 1955, Charlotte Van & Storage has been the preferred moving specialist of choice for families and businesses throughout Statesville. Winston-Salem: Whether you need to move industrial equipment across the ocean or you simply want to move your household to the next state, our Winston Salem moving services can accommodate you. Discover everything our Carolina moving company has to offer by calling us today. We have some of the most experienced Carolina movers around. We easily out-move other Carolina moving companies with our excellent customer service.